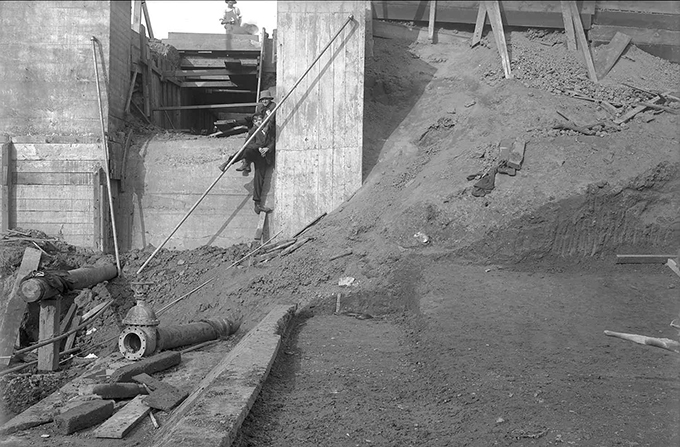 View of the condition of the drain ditch for the septic tank of the administration building. Waterworks--Pennsylvania--Pittsburgh--Design and construction. ; Blue collar workers--Pennsylvania--Pittsburgh. ; Lincoln-Lemington-Belmar (Pittsburgh, Pa.).